One of the most exciting new venues coming to Downtown Disney when it transforms into Disney Springs is “The Edison”. Run by the same group that will be bringing Morimoto Asia to Disney Springs, Patina Restaurant Group, The Edison will be a sumptuous “Industrial Gothic” -style restaurant, bar and nighttime destination opening in 2016. 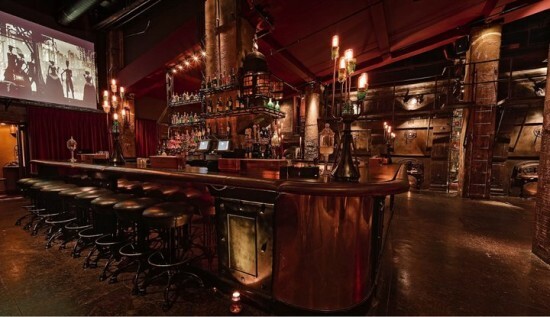 Inspired by its sister location in Los Angeles, The Edison is set in a historic power plant and features classic American food, craft cocktails and cabaret entertainment. The Florida location will be themed to a 1920s-period electric company and recall an exuberant era of invention and imagination. 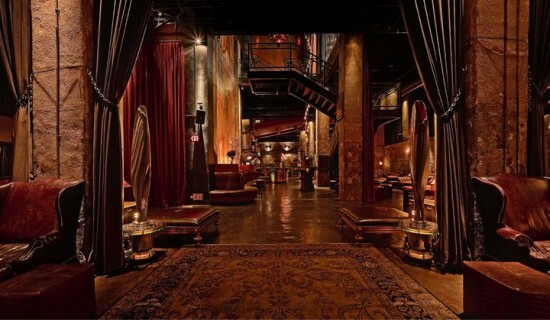 Featuring 35-foot ceilings and a range of themed areas to explore, The Edison will have The Lab performance space, The Ember Parlour, Telegraph Lounge, The Patent Office, The Tesla Lounge, The Radio Room, Waterfront Patio and more. Entertainment will include contortionists, palm readers, DJs and more. The Edison will join Morimoto Asia and STK Steakhouse in The Landing section of Disney Springs. Sounds exciting.Here’s hoping they can create a new Edison in the East that has the unique and surprising environments of their Los Angeles location (in an ACTUAL old power plant.) It might be a bit of an uphill climb finding an audience as there are hundreds of WDW guests still disappointed in the mysterious closing of the monumentally popular Adventurers Club. Best of luck to the Edison … we’re all pulling for you. “Hundreds” of Guests represents less than one full turn at a restaurant. Based on people who have been looking forward to new dining experiences, Edison will do fine. No uphill battle necessary. This is a tribute to the amazing bar in LA of the same name!! I’m not sure where your head is at, Glen, but I actually was the palm reader at the adventurers club for quite a long time before working as a reader for Disney Parks, hotels & private parties for corporate & social functions. My readings were and still are, accurate, humorous, interactive and completely positive while still entertaining and wow-ing the guests. I would absolutely love to be considered to be a palm reader for this hotel. Have the costumes, the knowledge, the professionalism, and the right attitude to create an enhanced guest experience. So, how does a palm reader play into the 1920’s power plant theming? I guess MAYBE a contortionist I can associate with that era (although not power plant?? )… I guess You just gotta have DJ’s. Just a theming question. Omg you worked at the adventures club? V so jealous! I loved that place sooooo much! !